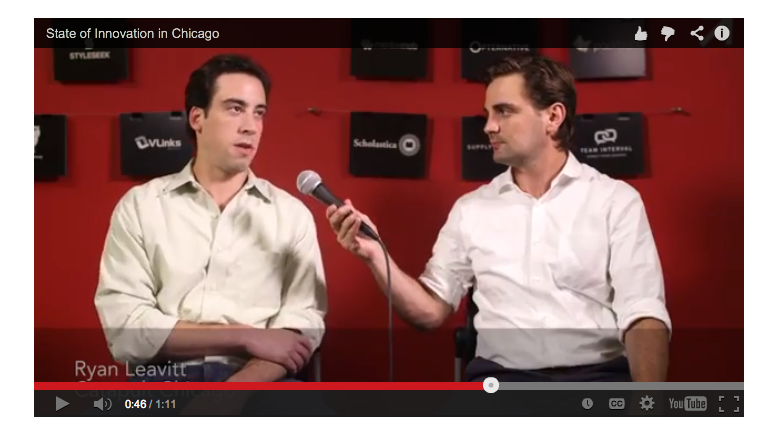 Watch Ryan Leavitt, our president and co-founder, talk to Will Flanagan of ChicagoInno about all things Catapult Chicago. Ryan describes how Catapult fills the need of a shared space for companies with business traction; he explains our unique peer selection process; and he highlights some of our most notable graduates (BucketFeet, Shiftgig, TempoIQ). See it here! In addition to being president of Catapult, Ryan is VP Business Development at VLinks Media.